Interesting, are there people, who had to drink sweet vodka? We don’t know, what it actually tastes, but those who tried to get know why people drink, at least got the understanding of this. the third group, 23 % have demonstrated pronounced interest to drinkables. And the scientists’ curiosity hasn’t dried out thereon. And now the alcoholics’ saliva is going green with envy. During the quarter the experimental animals were poured the alcohol against their will. But they couldn’t make a drunkard the rodents. Have tried to deceive them and began to sweeten the alcoholic solution. Result was the same. The scientists didn’t calm down. They have increased the doze in hope that it will strike down. The animals have begun just to turn over the dishes and push it out the cage: the alcohol has being evaporated and after that the water could be drunk. The investigations showed that they agreed to take ethyl alcohol with concentration not more than 15 % during a day. And there are not more than several grams per kilogram, i.e. of daily amount, which the organism can overwork during the day. French people have felt outside the scope of experiment. The observing for several kinds of animals has convincingly demonstrated that most of experimental animals had to be poured the alcohol by force, because they refused from it completely. The exceptions were close relatives of a human-chimpanzee. Is the theory of human evolution by Darvon counted so well and a man has inherited from his old ancestors even predisposition to alcoholic attraction? But still, the experiments with use of sweet in alcohol solution did not go unnoticed. There was found in a lab environment that taste also has meaning for involvement of a living organism to alcohol. Alcoholic drinks with adding of different juices, for example, orange or various essences, Coke drinks, Fanta and others, arises the interest to drinks, containing the alcohol. But not this cocktail of bitter with sweet attracts the human to alcohol? All of the livings, at least once, have taste the alcoholic drink. Some have tableful with alcohol on holidays or on the occasion. Others, as chimpanzee during the scientists’ experiments, can’t deny themselves in regular satisfaction from kef of alcohol effect. And there are appears much more such “types” over the years. That is to say that under impact of cofactors or habitually, the human body gets the additional doze of alcohol all the same. It was seen another. A human can be an alcoholic and live in such family. Or he can live surrounded by another people, suffering from alcoholism, see sleeping drunken people on the ground even in bad weather or to be an involuntary witness of offences on the basis of alcohol. The life of the first people’s group is a direct function of alcohol, and the second has indirect dependence from carrier of bad habits or disease. The first and the second for indifferent and not taking alcoholics’ lifestyle man isn’t clear what can attracts in it. The understanding of constant risk to human’s life pushes the people with adequate perception of being away more from regular tableful. There is more active sounds the questions in their subconscious, why do people drink, not being afraid of consequences? Because the difference between the drunken man and sober id obvious! Peep into the store and pay attention at the department, where the vodka is being sold. Don’t look at the faces in a queue – it can spoil the overall picture. Pay attention how our earth is enriches in talents! What painters and designers were found in it by dope manufacturers? It is a work of art : how colorful and attractive is a showcase – it is an exhibition of paintings, more precisely labels on bottles. The bottles are also original, they can be recognized by touch. And what is inside? Slavic people have used the vodka as traditional cereal drink. And nowadays it is produced even in pour on grain counties, where are used, for example, molasses. Different nations have invented their own recipes and that is why the bottles’ content differs. There is an opinion that Russian vodka and Ukrainian also differs from each other. The selection of drinks has increased much during the last years. But according to specialists’ opinion they aren’t differ much by their composition. Except for, there is a different taste. The information at the beautiful labels not always reflects the true internal drink’s composition. So the buyer has to believe into the information about product’s quality. And it is not always passes unnoticed for the health. Preparation scheme of alcoholic drinks is in mixing and processing of three ethanol components, water and flavoring additives: 1/3 of dried mixtures and 2/3 of a liquid. There is more of water in the drink, as in nature, because the quality of the end product depends much from it. Since the days of alcohol pioneers under the influence of environmental factors the water structure has changed much, enriched with various impurities. That is why for maintenance of appropriate quality is necessary to control, and if it is necessary, to correct the water composition, to compare it with periodic table. And if there are excess elements then remove them. How do you think, will the owner of a “candle factory” or the owner of vodka shop think about the water composition? Probably it is more important to him dekaliters of finished products at the end of the conveyor. But they are more expensive! That is why more expensive. And there are much more others chipper and people prefer them. And drink! And nothing stops them! Looking at the alcoholic, lying on the cold ground, unwittingly it sets your teeth on edge. And his pals comment the situation conversely as positive quality of alcohol, saying that the alcoholic aren’t down because the alcohol warm up them. 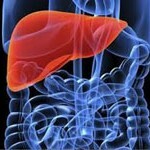 Undoubtedly, the alcohol really, getting into the human organism, expands blood vessels and becomes warmer for a body. That is why, people, working during the cold season outdoor, takes a glass in order not to freeze. The outside temperature is coming into its own and it is necessary to drink again. If you don’t use other methods, so till the spring the organism is used so much that begins to demand set norm. 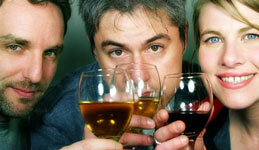 Another opinion is that the alcohol causes the appetite, invigorates and stirs up. Invisible zinger becomes implanted into a human that is why alcoholic subjects experts recommends the alcohol as preparation for reducing of fatigue, indisposition and stimulator of good, holiday mood. It is necessary to take the alcohol for replenishment the energy needs of the organism, what is rather useful during the exercises. It is not a recommendation, but – ones more opinion of tableful active members. There is another category of companions of the alcohol useful theory, who are sure in alcohol curative properties and support them. As illustration of their rightness they bring the fact of alcohol consumption at colds, in other cases and including the deviations of the gastrointestinal tract work. Should we dispute these “optimists”? The medicine alcohol is really used in the pharmacy. But not as a remedy. In the last century the scientists came to conclusion that alcohol, getting into the human’s organism, stays at all, without exception, organs and poisons them. By destructive capacity it has no equal and nothing can replace it in this. The thesis about positive influence on appetite is also an illusion, based on perception of the first doze. It can cause the secretion of gastric juice. But then it adopts the antagonistic attitude towards the efficiency of digestive process, blocks the liver and pancreas activity. For what do we need to talk about alcohol harm? Remember the old times: that during each feast, where there is lots of food, there is 100 grams! And how our ancestors lived! The supporters of the glass before the breakfast, dinner and supper certainly remind about their ancestors tradition to begin the meal with the drinking. In ancient times in was mandatory point in Slavic family life. didn’t drink up, so you aren’t a man, but a dweeb. The old stereotypes predominate in consciousness and culture of a modern man’s drinking. That is why it is necessary to over-persuade that inability to refuse from a glass, it is precisely the strength will power. And those who silently succumbs to unreasonable calls and charges, who decides that it is better to die tomorrow from a headache, than from a shame today, and shows the weakness of a character. Ones get drunk in order to “kill” in themselves the sounds of conscience. Backing to traditions’ costs of drinking as a main output of causes of a drinking can become a formula, withdrawn by specialists of medicine: alcohol is not a natural demand for human body. So why do we pour it into ourselves? But pour and drink. Why? There is a “reason”! This phrase, even without continuing, can give the go-ahead for filling of a first glass. And its preconditions are laid down long before the meeting with an alcohol taste. When the parents seat their children to overall table, pour into his glass his favorite juice and teach him to “clink glasses”, think that they begin to unite the adult drinking. And while a child or a teen just learns the basics of tableful ritual. The conscious fixes the conditions of holiday arranging or just gatherings with friends: the range of acquainted or not very acquainted people, treats or snacks, songs, relaxation and fun. As an element of adult life the presence of alcoholic drinks at the table is mandatory. It is a background at what the adult interest to alcohol begins to appear slowly. And also there are reasons which appear for the purpose of gathering with friends. Over the years they – reasons and friends are also getting older. The answer for the question do you drink or not, almost everybody answers about the same – as everybody: at the holidays, birthdays, and anniversaries and New Year! Friday is the end of a week and important things and so on. hastiness, dictated by the desire “to shove” the work faster and to come in time for the first tableful. alcoholic always and anywhere defends his right to drink. a patient feels comfortable physically and psychologically only intoxicated. a human imposes his point of view to all around. family ties are becoming a encumbrance, because interfere to “chat with friends”. Denial of all references about the ability to be addicted from an alcohol. desire to take off the stress for any reason, which is accompanied by disagreement of somebody’s point of view, behavior or failure of any sort of plan. 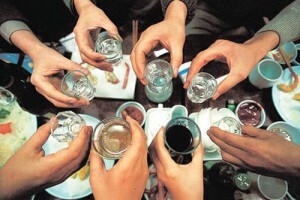 The first profound meeting with an alcohol is more often disinclines from harmful habit. Unknown taste of drink, which the organism doesn’t fit to and doesn’t want to take, in fact turns out to other, not so sweet, as the imagination has drawn. And if the norms of consumed alcohol are really increased, the rejection reaction of intruder will be unforgettable and for a long time is putting a psychological barrier, which will seem eternal. But it is not for everybody. The small boundary limit of the spiritual world and desire to stand out in a society and force to talk about yourself, inspire to a heroism: “now drink and will be able for everything!”. And then the bravado passes into aimless wandering by the streets in searching for a place and ability for committing questionable actions. The society and law often don’t appreciate them, as the hero expects, but in the eyes of peers a young alcoholic is a hero. At least, he thinks so and continues “to be onwards and upwards”, till the older people stop him, human in uniform or judicial robe. Transition period is always accompanied by sufferings: bad evaluation, reduce of a peer to be friends, seemed sidelong glance of somebody from adults, discrepancy of self-concept with adults’ evaluation of your behavior and so on. Stress and failures is sinking after that in the glass of alcoholic drink. Illusory self-affirmation is turned out by the addictions. 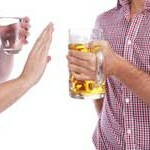 False stereotype is found a lodgment, that all the problems can be solved only with alcohol and drinking buddies. The reasons to drink can be found always if you have a desire. But they can’t be justified always. And always carry harm for the health, if a human doesn’t see the glass’s margin. There are more of them over the years, accumulated experience improves and makes it fit to the specific situation. Intelligence dies, and explanations become more and more plausible. The sixth version: who said that there is no women’s friendship! Tipsy, all the more so, drunken woman- is a sign for the most serious censure. There is a serious reason for that: woman’s organism faster and easier “registers” an alcohol in itself. Usually the disease is nearly invisible and is developing with unconcealed symptoms, when it is time to visit a drug therapist. It is more difficult to persuade a woman for a treatment than a man. Not many who of representatives of the beautiful half are agreed with the fact that alcoholism can be not just men’s, but women’s also. What health will such children have, what future? Filling he glass with vodka or wine, in order to talk with a friend about her “women’s”, dear women don’t addict by the drink. Every woman will have more useful and important theme. Let even the bank of beer will not tempt you! The version of the beer harmlessness is not refuted finally, but remains doubtful. Some people, remembering the olden days, tell about trade stalls with laconic name “Beer”. And, of course, there long queues to them. Nowadays there are no queues for beer, and there is no that beer. Nowadays it is different. The more possibilities to drink beer appear the more attentive became to discuss the theme of drink’s useful. Beer is the same drink, containing alcohol, as its more “strong brethren”. It can’t be drunken beyond measure. 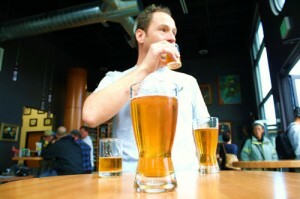 There is an alcohol in a beer, as in vodka and wine: its less percentage successfully overlaps by the amount of drunk. Beer contains cobalt, which is very dangerous for a heart, esophagus and stomach, the beer lovers successfully transfigure their healthy heart into, such called “Bavarian”, which loosens and reluctantly pumps the blood through the vessels. The beer is prepared from hop, which facilitates the appearance of drinking man aggression and kills the brain cells. In spite of convincing arguments of alcohol harm clarification, people still continue to drink. Why? The scientists have their own clarifications and versions. The authors of this version don’t remain the doubts: a human drinks because his own body interferes him to overcome the habit. The specialists still prefer to take the alcoholism to the category of narcotics. Getting into the human organism, he populates the brain and leads the human consciousness from there. Sometimes it causes the pleasant feelings and sometimes “extinguishes” the unpleasant ones. After short relief period some areas of the nervous system ungently require for alcohol replenishment. And in cases of attempts to get rid of its presence, causes such protests, that a human can’t resist the appearing discomfort. 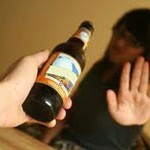 Only professional intervention into this opposition of alcohol and human body can stop a man in danger of. Alcohol, for sure, brings its master to a degradation of the individual. Do you remember the chimpanzee, which has adapted quickly to alcoholic drinks and was ready to take regularly an alcohol from without? If a man, who drinks, having passed all stages of alcohol dope, doesn’t stop drinking, he takes a pass, which inverse to Darwin’s theory of a man evolution. Even if the theory is well-founded, why do we need to refute it by the own health, and even by the life. The human is not for that is born by Man. It is chipper not to drink. It is not a version. It is a reality, based on medical practice and difficult experience of the people, having suffered from alcohol dependence.